Was the water proofing firm appointed as a domestic sub-contractor? I am hoping for a bit of understanding around an issue I have. My building company started a refurbishment contract a few months ago and were appointed under a JCT Minor Works Building Contract. When carrying out the works, an area of damp was found and I instructed a specialist water proofing firm to go into the property install a vertical DPC and apply Sika render. I am now writing up a report about the project for the client and am trying to understand the water proofing company’s contractual role. Am I right in saying that the water proofing company was appointed as a domestic sub-contractor as they were paid and managed by my company? I understand minor works contracts are not suitable for named specialists but I was wondering whether this was true if the specialist had to be appointed after the contracts were signed. Hopefully that makes sense and I would greatly appreciate your advice. Hello Samir. In a nutshell, because you instructed, managed and paid the water proofing company, it would most likely be a domestic sub-contractor. I say likely, because you may have instructed the sub-contractor on behalf of the employer (providing you had authority and made this known to the sub-contractor at the material time), whilst managing and payment does not necessarily indicate a contractual obligation. If the sub-contractor had addressed its estimate to your company and you accepted this estimate without reference to a third party (i.e. 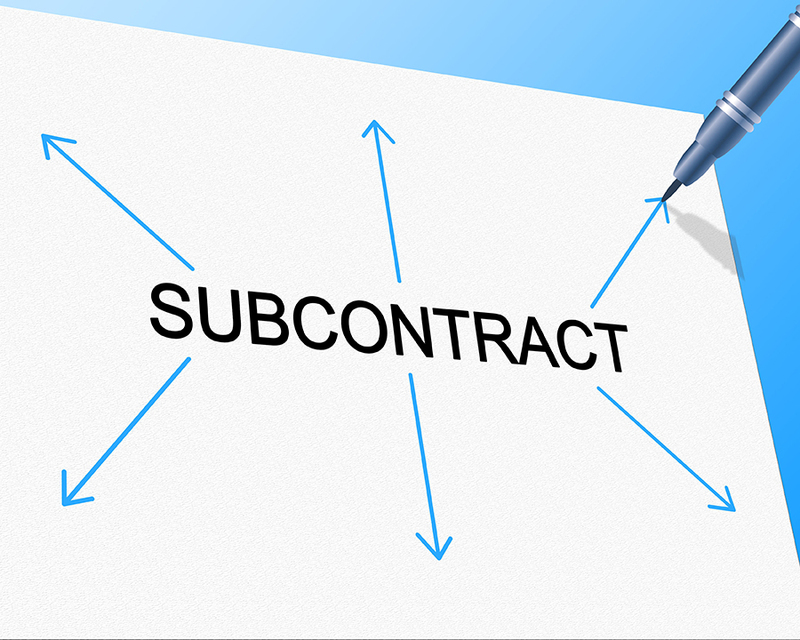 the employer), then your company would have entered into a legally binding contract with the sub-contractor and thus the sub-contractor would be a domestic sub-contractor. Under the JCT Minor Works Building Contract, there are no provisions for nominated or named sub-contractors. Any sub-contractors would either be employed by the principle contractor or directly engaged by the employer. If the employer wishes to nominate or name a specialist contractor, then there are other contracts in the JCT suite that will accommodate this. The advice provided is intended to be of a general guide only and should not be viewed as providing a definitive legal analysis. All Builders Problems Solved articles are a response to real problems experienced in the industry and we invite you to submit details of your own legal issues using the form below. If your matter is used the advice is free. We do however assume we have your permission to publish the article on our website and on our social media platforms, although the names and details will be amended so that you may not be identified. Discrimination is a forever evolving subject in the area of employment law. 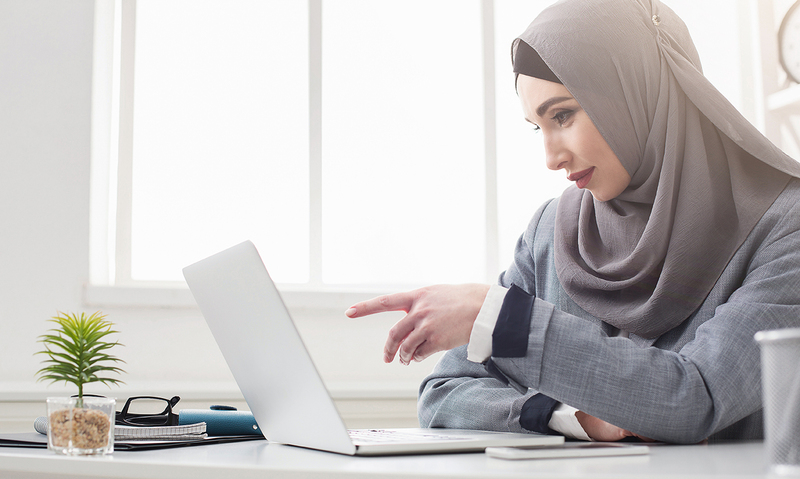 In this article John Cato provides and analysis of the recent ‘Head Scarf Case’ which raises the issue of work attire and what constitutes ‘direct’ and ‘indirect discrimination’ which is a key issue for employers to understand. You may recall that in Eweida v. British Airways Plc (2010) the Court of Appeal held that British Airways’ uniform policy banning the wearing of a cross outside the uniform was not indirect religious discrimination – but the European Court of Human Rights then held the UK had failed to protect Mrs. Eweida’s right under Article 9 of the European Convention on Human Rights to manifest her religious belief. However, in this case, the European Court of Justice held the headscarf band did not constitute direct discrimination because there was no evidence that Ms. Achbita was treated differently when compared to other workers. The ECJ said that where an employer had a policy of upholding political, philosophical or religious neutrality in roles dealing directly with customers, this must be considered a legitimate aim. This derives from an employer’s freedom to conduct a business and allows limits to be placed on the freedom to manifest religion. In summary, it is a legitimate aim for a company to promote a certain image and brand to its customers. Therefore, a female employee of Muslim faith being prohibited from wearing an Islamic headscarf at work does not constitute direct discrimination based on religion if the ban results from general company rules prohibiting visible political, philosophical and religious symbols in the workplace and are not based on stereotypes or prejudice against a particular religion. It may, however, be indirectly discriminatory. the size and conspicuousness of the religious marking. Each case will be decided on its own merits, but in this case, the employer’s right to conduct its business succeeded against the employee’s right to manifest their religion. John Cato represents both employers and employees in workplace discrimination cases. For more information on Cato’s employment law services please visit Employment Law Advice or contact John Cato. All non-marital assets are not divided – unless required to meet the needs of one of the parties. In other words, it is only the property which both parties have contributed to, directly or indirectly, that is available for division. It is, therefore, vital to identify the “non-matrimonial property” in divorce proceedings. Non-matrimonial property is property acquired by way of inheritance, gifts, and property the parties bring into the marriage with them and property acquired after separation. Somewhat confusingly, there is no question of non-matrimonial property being quarantined, ring-fenced or excluded from the Court’s discretionary consideration. The approach adopted by the Courts is not always obvious. Although this is arguably non-matrimonial property in a case called P v. P (2004) the Court observed that fairness requires a different approach in different circumstances. For instance, a small gift of money during the marriage may be treated differently to a land that has been within the family of one of the parties for many generations. In the case of K v. L (2011) the wife had shares in a family company valued at about £57 million. The Court only made an award to the husband on the basis of his needs, albeit an award of £5 million. You may remember the case of McCartney v. Mills-McCartney in 2008. Fairness requires that the wife’s needs (generously interpreted) are the dominant factor in the…exercise. Any other radically different way of looking at this case would, in my judgment, be manifestly unfair. This principle was continued in S v. S (2014) where the total assets of the marriage were £25 million. The husband said he had brought £13 million to the marriage. After argument, the Judge found the pre-acquired asset was £13 million, deducted that from the £25 million, and divided the rest in half giving the parties £6 million each from the marital acquest. Continuum cases – Assets or interests in place at the point of separation increase in value. Continuum accrual may be shared, but the spouse who has it is likely to keep the lions share. New venture accrual is normally non-matrimonial property. This is a difficult area of law. The parties may not agree on the facts, to the extent that the Court will have to make a determination. Once the facts are agreed or decided, the Court’s discretionary approach requires careful analysis and application in each case. Nevertheless, in spite of the difficulties, it is essential to identify non-marital property from the start of your instructions and to make sure your position on this issue is clearly set out for the Court in your financial statement and later on, in any witness statement the Court calls for.